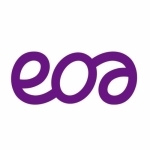 The EOA is an independent, not for profit professional body and registered charity whose key role is to support the professional development of all exam office personnel working in centres throughout the UK and abroad, so they can support an exam system that will benefit all learners. We help our members in promoting the importance of this role to the whole education community so that the exam office can support the delivery of an effective and efficient examination system for the benefit of all learners. Our members have access to information, resources & a strong peer support grass roots network, to help in their day-to-day work. We ensure our members' views are heard by government, Ofqual, JCQ, FAB, awarding organisations, MIS providers and SLTs through regular surveys and targeted feedback.